Seligman is a professor of religion at Boston University and research associate at the university’s Institute on Culture, Religion and World Affairs. He has taught at universities in the United States, Israel, and Hungary, where he was a Fulbright Fellow from 1990 to 1992. He lived for close to 20 years in Israel, where he was a member of Kibbutz Kerem Shalom in the early 1970s. His books include The Idea of Civil Society (Free Press 1992); Inner-Worldly Individualism (Transaction Press 1994); The Problem of Trust (Princeton University Press 1997); Modernity’s Wager: Authority, the Self and Transcendence (Princeton University Press 2000); Market and Community: The Bases of Social Order, Revolution, and Relegitimation (with Mark Lichbach) (Penn State University Press 2000); Modest Claims: Dialogues and Essays on Tolerance and Tradition (Notre Dame University Press 2004); Ritual and its Consequences: An Essay on the Limits of Sincerity (with Robert Weller, Michael Puett, and Bennett Simon) (Oxford University Press 2008); Rethinking Pluralism: Ritual, Experience, and Ambiguity (with Robert Weller) (Oxford University Press 2012); Religious Education and the Challenge of Pluralism (Oxford University Press 2014); and Living with Difference: How to Build Community in a Divided World (with Rahel Wasserfall and David Montgomery) (University of California Press 2015). His work has been translated into more than a dozen languages. He founded the International Summer School on Religion and Public Life in Sarajevo in 2002 and facilitated its growth into CEDAR. Montgomery is an Associate Research Professor in the Center for International Development and Conflict Management and the Department of Government and Politics at the University of Maryland; an Associate with the Central Asia Program at George Washington University; and a former policy fellow with the American Association for the Advancement of Science. He has conducted long-term anthropological field research in Central Asia and the Balkans, where his work focuses on the transmission of religious and cultural knowledge; the expressions of everyday religious life; and the social aspects of religious change. He is the author of Practicing Islam: Knowledge, Experience, and Social Navigation in Kyrgyzstan (University of Pittsburgh Press 2016); coauthor of Living with Difference: How to Build Community in a Divided World (with Adam Seligman and Rahel Wasserfall) (University of California Press 2015); editor of Everyday Life in the Balkans (Indiana University Press 2018); and has taught at the University of Pittsburgh, Emory University, and Boston University; worked as a legislative assistant for the U.S. House of Representatives; and served in the U.S. Peace Corps. He is an active member of the Presbyterian Church (USA). Wasserfall is a resident scholar at the Women’s Studies Research Center at Brandeis University. She has wide-ranging experience in the evaluation of educational programs in complex multilingual and cross-cultural settings. Her work in the world of evaluation focuses on the pragmatic approach to knowledge that continually queries: “knowledge for whom and for which purposes.” Previous assignments include: director of evaluation and liaison to schools of The Center for the Advancement of Hebrew Teaching and Learning, Inc. and senior research associate with Education Matters, Inc. and the Mandel Center for Jewish Education at Brandeis University. At CEDAR, she conducts the yearly evaluation of programs and is part of the leadership team. In the past year, she has moved into training and leading new program developments and evaluations internationally. An anthropologist with a PhD from the Hebrew University of Jerusalem, Wasserfall has gained expertise on three continents. She has published in the area of the anthropology of gender, pluralism and qualitative methods. 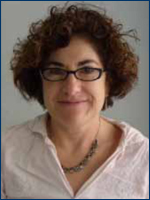 She is the editor of Women and Water: Menstruation in Jewish Life and Law (UPNE 1999); coauthor of Living with Difference: How to Build Community in a Divided World (with Adam Seligman and David Montgomery) (University of California Press 2015); and is currently working on a book titled Eating Together with Difference, based on her 14 years of evaluating the CEDAR network. As well, she is a committed yoga practitioner and certified teacher in the Iyengar tradition. 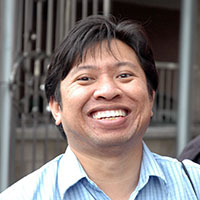 Li is the executive director of the Institute of Resource Governance and Social Change (IRGSC), an Indonesian think tank based in Kupang, East Nusa Tenggara. He holds a PhD in sociology from the University of Birmingham and is a lecturer at Pelita Hati University and Nusa Cendana University, and a former fellow at the Ash Center for Democratic Governance and Innovation, Harvard University. His research examines the political and sociological relationship between subsistence communities and human trafficking, corruption, and the weakening of the state. 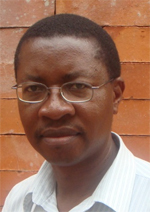 Ngabirano is a senior lecturer at the Institute of Ethics and Development Studies at Uganda Martyrs University, where he also heads the Department of Good Governance and Peace Studies and teaches ethics, religion, and development. 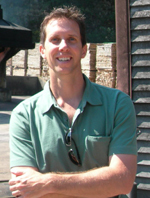 He holds a PhD in theology from the Catholic University of Leuven and is involved in various research fields. Currently, he is part of a team conducting research on diversity, marginalization, and pluralism in Uganda. 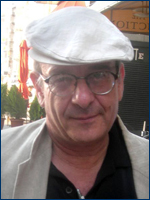 Schnitter, a native of Velingrad, Bulgaria, studies, specializes, and teaches in Plovdiv, Bulgaria; Freiburg, Würzburg, and Berlin, Germany; Vienna, Austria; and Florence and Venice, Italy. Her main areas of research include the Middle Ages, the history of everyday life, the history of worship, cultural and religious interactions, contacts and conflicts in the Balkans during the pre-modern age, and the role of religion in the postmodern world. 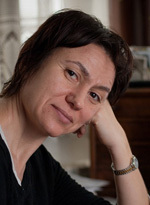 Her major publications are devoted to the Orthodox ritual practices and she is involved in a project connected with research and publication of the Glagolitic monuments, financed by the Austrian Science Fund. Schnitter is one of the founders of the Department of Ethnology (1995) and became the first dean of the Faculty of Philosophy and History at the Paissiy Hilendarski University of Plovdiv in 2004. She has a son.